Here at Property Watch, we provide security services specialising in home security systems and alarm maintenance. We are proud to offer the highest level of home security which includes CCTV security systems and wireless alarms. Plus, alarm maintenance and 24-hour emergency call outs. We have a range of security alarm systems, which all come fitted as standard. Our burglar alarm systems include pet-friendly security systems. So no matter what, you will have peace of mind that your home and pets are protected. If you want an extra level of protection, our alarm maintenance team are on call 24 hours a day. So you have the highest level of protection, no matter what time of day or night. 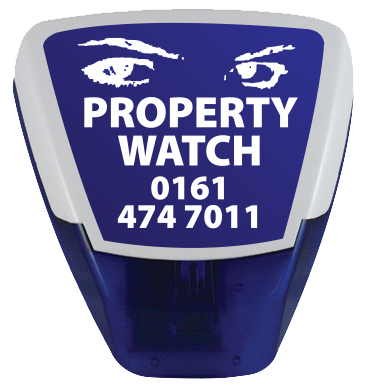 Property Watch's aim is to make sure our customers feel safe and secure. We aim for the highest level of customer service, which is why don't limit our call outs either. We are also able to supply and fit CCTV systems, which can then be accessed by you over the internet from anywhere in the world. Our CCTV systems are made to work alongside our emergency call outs. This complete home security system has been created by us, so that you can rest assured that Property Watch has complete control when it comes to your home protection. If you already have a home security system, but it is in need of an update, then why not let us take over your alarm maintenance? From all of the team here at Property Watch, we want you to feel like your home is in safe hands no matter where you are, so why not let us handle all your home security systems and have complete peace of mind.